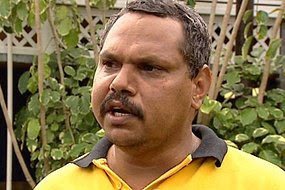 Palm Island Mayor Alf Lacey says it is time the truth came out. Townsville MP and parliamentary speaker Mike Reynolds yesterday presented Queensland Parliament with a petition calling for a royal commission into the case. The document, which contains 217 signatures, also requests all Aboriginal people convicted of offences relating to a riot on the island after Mr Doomadgee's death be pardoned. "Certainly there are still some unanswered questions that need to be seriously answered," he said. "The main issue is someone was in police custody and the police had a duty of care or the Queensland Government had a duty of care, we want to know where that duty of care, or what happened with that duty of care. "No doubt Mike's [Reynolds] going to be ridiculed by the Queensland Police Union - I think the Queensland Police Union should act as responsible adults rather than ridiculing Mike. "Mike has a responsibility to his constituents and if his constituents are asking him to ask further questions on it or find further answers to it, then look Mike has every right as an elected parliamentarian." Lex Patrick Wotton has been jailed for six years for a loser cop who incited a riot on Palm Island off north Queensland in 2004. How brave were the Queensland police in the aftermath of Palm Island’s riot – when special forces police swarmed the community?